It's already "H" week for Alphabe-Thursday! I've been busy painting this week, so I have FIVE signs to show you! Our oldest Grandlittle had no painting time this week. She has forsaken the letter "H" to take Ballroom Dancing lessons. Geez. Some little kids just have no focus. ha! She's painting this weekend she says. Because I ran out of time at Christmas, I painted this sign that I wanted to do the entire month of December. I really like the angel background. This is one of my favorite Thoreau quotes. I like the super pale pink letters against the sky blue. Ah. Hope. One of my favorite words. I like the coloring of this sign. Okay. Yeah. See I told you I got carried away this week! Here's a little, mooshy/gooshy sign! Awwwww. And this does, too, have an H in it! And the last one is kind of different for me. This color is a super dark purple blended with brown. I like it combined with the pale slate blue lettering. This post is linked to Alphabe-Thursday's Letter H. To read other H offerings, just click here. Jenny ~ these are beautiful ~ I love the angel and all of them are so creative ! Wow! Jenny I always love to see what signs you come up with! Love them all! These are great. Lots of H's and lots of art. I love the Thoreau quote! I also like your Hope. Full sign. You really have been busy. It's good to start your signs now for next Christmas! You are such a talent! You must have more hours in your day than I do (couldn't be that you use your time more effectively~)! I hope you don't have to disown the granddaughter! Maybe she can pass her lessons on to you! I would love to take lessons...someday!! I LOVE the love one. I'm still deciding which sign I'm going to want. I don't think the love colors would match though. Wow, you HAVE been busy! Love all of those H paintings! Hope you are Having a Happy Evening:) HUGS! Hark, you can really paint! I am thinking it is time to scoot into a little decorating store and see if you can sell some of your work. It is that good. I had no idea you had an etsy shop but I'm on my way over there now. I can't decide which sign is my favorite but you're awesomely talented. love the painted angel ... beautiful! Wow, you were busy like a bee ! Beautiful results ! Oh! What a happy little horde of handmade harkening! hey, I was trying for a lot of h words! I like them all. but, I think my favorite is Hope. Full. I love all of them - and last week's Great Dane sign ..... well that was inspired! Don't know which I like best they're so good! A belated Happy New Year to you & your family - and many thanks for hosting this great meme! 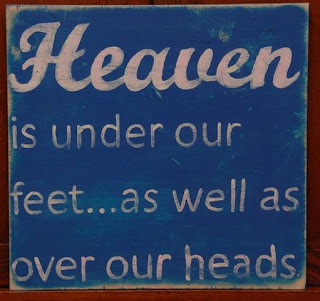 Cool, love your signs and the sayings! Ordinary Words....the flu has left my building♫ finally getting around to commenting on your wonderful signs♫ the Hark, Angels...is my favorite this time around. Be Janu-Wary! 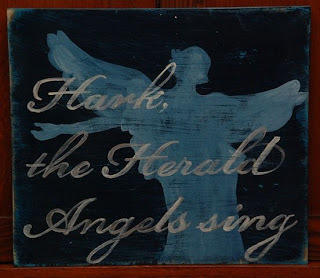 I glanced at the first one and read "Hank the herald angel sings." 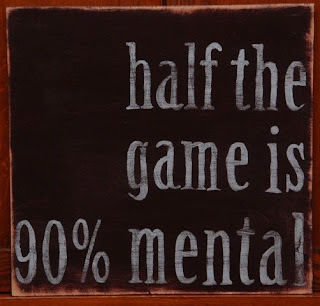 I just have to start paying better attention!!! You have such a steady beautiful handwriting. It's sad that handwriting is becoming a lost art! I love them all; as always. Ballroom dance lessons??? Oh my, that is so darn exciting! I think that angel one is my favorite. What inspired you to paint these, in the first place? Your signs are lovely! designs, colors, sayings! 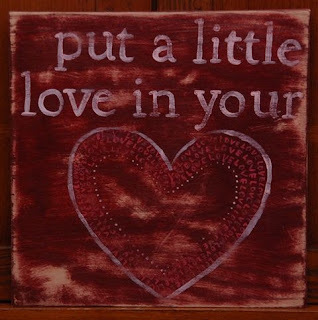 I like "put a little love in your ♥" and included it in an etsy treasury I made.